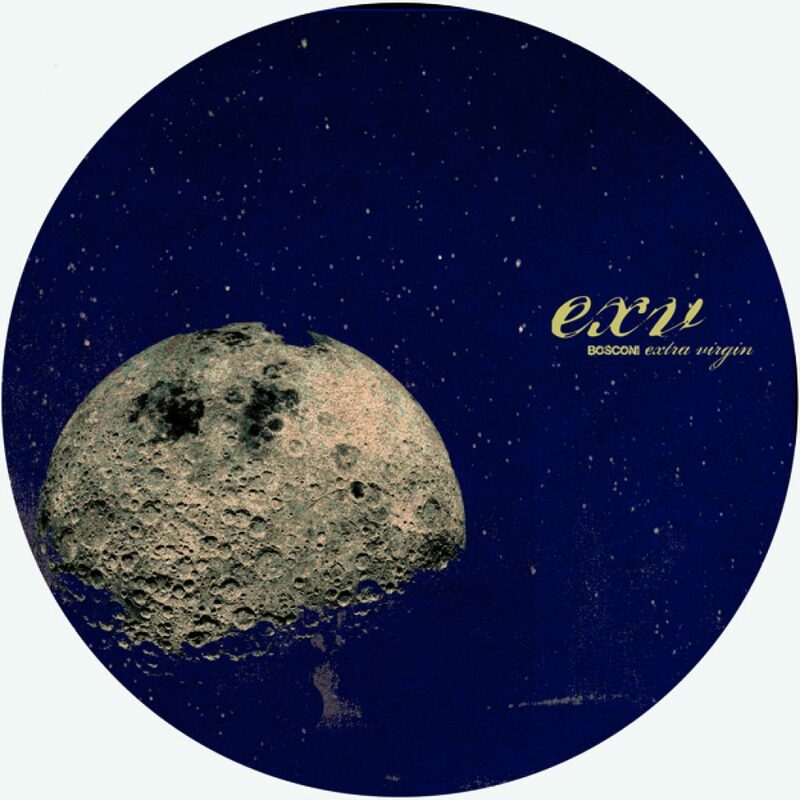 After releasing in the past two years with several projects as Nightdrivers, Tru West and together with Ekkohaus, tireless dj and records collector homeboy Rufus finally strikes back on Bosconi Extra Virgin with his first solo ep since 5 years named “Black & Blues” , a 4 tracker vinyl of moody, sampladelic mpc styled and lunar deep house. The record starts with the dark and mysterious funkiness of “Blue & Black”, an intricate but fluid dialogue between a carillon, jackin percussions, guitars accents, background voices and a dramatic strings theme which are playing together and rolling all over an irresistible swinging groove. Next is “Sad Eyes” a romantic, bit melancholic, deep but punchy house track enriched by afro latin percussive elements, striking 909 beats and catchy brasilian jazzy vibraphone riffs. On the first cut of the flipside instead you will find the sunrise-discoish-banger called “Cosmic Echoes”, a raw but excellent work of 70s jazzfunk cut up samples and hooks embedded into a triumphal oldschool house groove, while on the second cut, the ep ends with the dubby afterhour styled, quirky, smooth, bubbly, trippy beat of “Cruisin”. Welcome Back Rufus! All tracks written and produced by Niccolò Daniel Rufo.